Having guests for the Fourth? 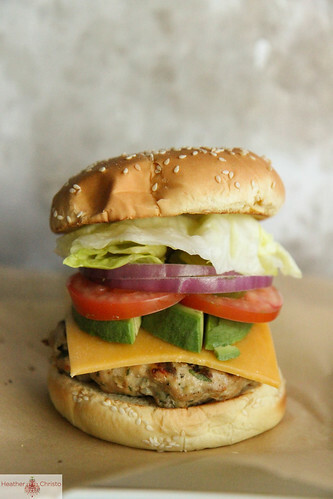 These Blue Cheese Stuffed Turkey Burgers are a great alternative or addition to your traditional burgers. Or you could be an over-achiever and do a BURGER BAR!!! 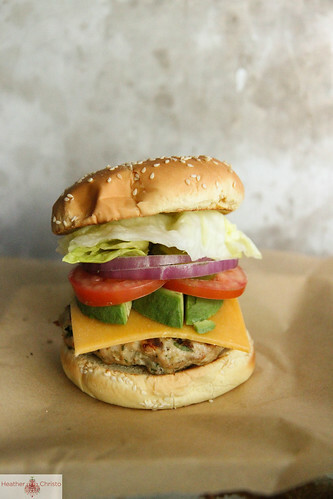 Regular old burgers, Lamb, Salmon and these delectable Blue Cheese Stuffed Turkey Burgers. People love this- I swear. I’ve done it a couple times lately, and it was a total hit. I love to make all of the patties the morning of, or even the day before. Grill them up and serve them on buns with a ton of condiment choices, like homemade ketchup and pickles. What are you guys serving this Wednesday? I can’t wait to hear. I hope it involves yummy stuff. I am sort of obsessing, and want to know what you are making! 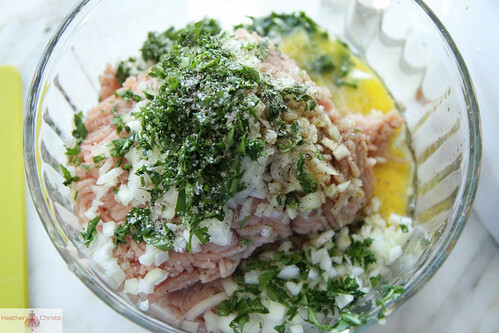 In a large bowl, combine the turkey, parsley, onion, eggs and worchestershire sauce with clean hands. Form 6 burgers with the meat mixture. Divide the cheese between the burgers. Push the cheese into the center of the patty and then fold the meat back over the cheese. Refrigerate for at least an hour. Preheat the BBQ to medium heat. Grill the Burgers until cooked through, about 6 minutes on each side. Place the burgers on the buns, and pile on the cheddar, avocado, onion and lettuce. 1. 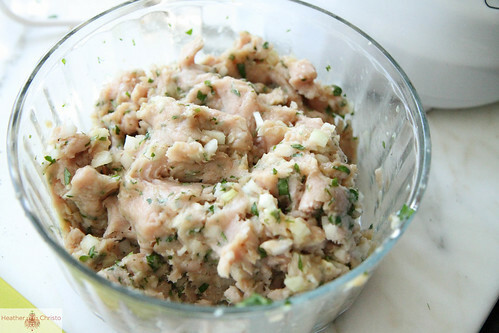 In a large bowl, combine the turkey, parsley, onion, eggs and worchestershire sauce with clean hands. 2. Form 6 burgers with the meat mixture. 3. Divide the cheese between the burgers. 4. Push the cheese into the center of the patty and then fold the meat back over the cheese. Refrigerate for at least an hour. 5. Preheat the BBQ to medium heat. 6. Grill the Burgers until cooked through, about 6 minutes on each side. 7. 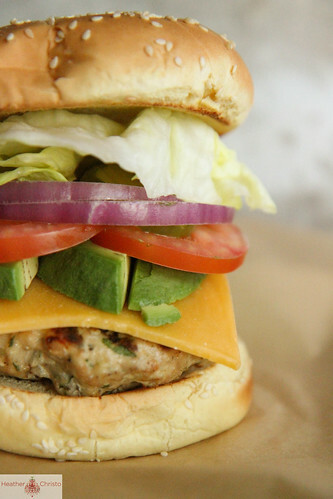 Place the burgers on the buns, and pile on the cheddar, avocado, onion and lettuce. That is one AMAZING looking burger!! I’m still not sure what we will be having on the 4th yet. Um, I DIE. That slice of cheese? Uuuuugh, yes. 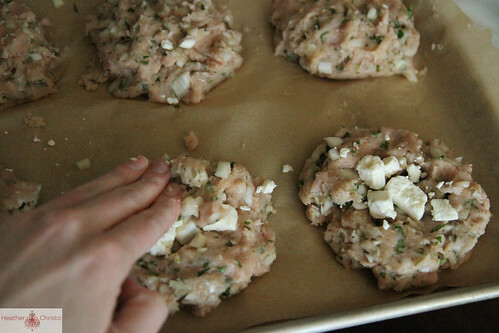 I had just told my huby last night that I want to try to use turkey burger and chicken burger more. Sometimes Chicken is cumbersome to thaw and clean, etc… but I really like chicken. I’m thinking you could do a lot with a good turkey patty! And that’s SOME sandwich! Oh, yeah! Oh my goodness!! NOW that is a burger… and one I could definitely sink my teeth into!! 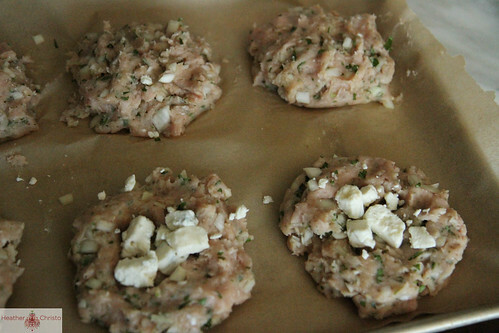 I LOVE turkey burgers and have never stuffed them with blue cheese, which just sounds delicious to me. Also like that you season them up with herbs and serve them with huge slices of avocado. Perfect! omg you aren’t even serious. I need to make this for my man, he loves burgers and blue cheese! this is a ggod man burger! they wont even miss the meat! That is a great looking burger! I made these for dinner two nights ago and my husband and I both loved them! Thank you for sharing such a yummy recipe. Also, I posted the recipe (with a link back to you of course) on my own blog, if you’d like to check it out! 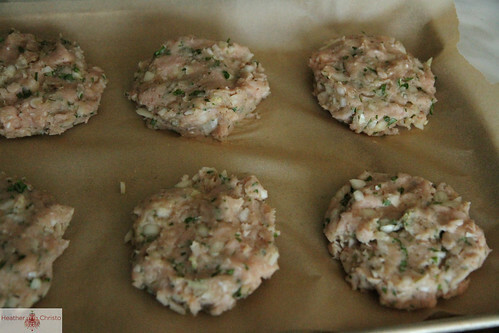 I just stuffed turkey burgers wit home made pesto!